Guest blogger Robert Gittelson reflects on the passing of Edward M. Kennedy. Growing up in the 1960’s, the people of my generation were inspired by the Kennedy brothers. In particular, their leadership and commitment to social equality and civil rights legislation ignited a lifelong passion in many of us to follow the courage of our convictions, and to speak out and work to right the wrongs that we perceive to exist in socially unjust laws and regulations. Many of us recognize that our current immigration laws are not just, and that a comprehensive overhaul to our immigration system is required. Because there our those in our society that would seek to oppose and obstruct this much needed reform, many of us have taken up the issue of Comprehensive Immigration Reform as the social equality and civil rights issue of our time. 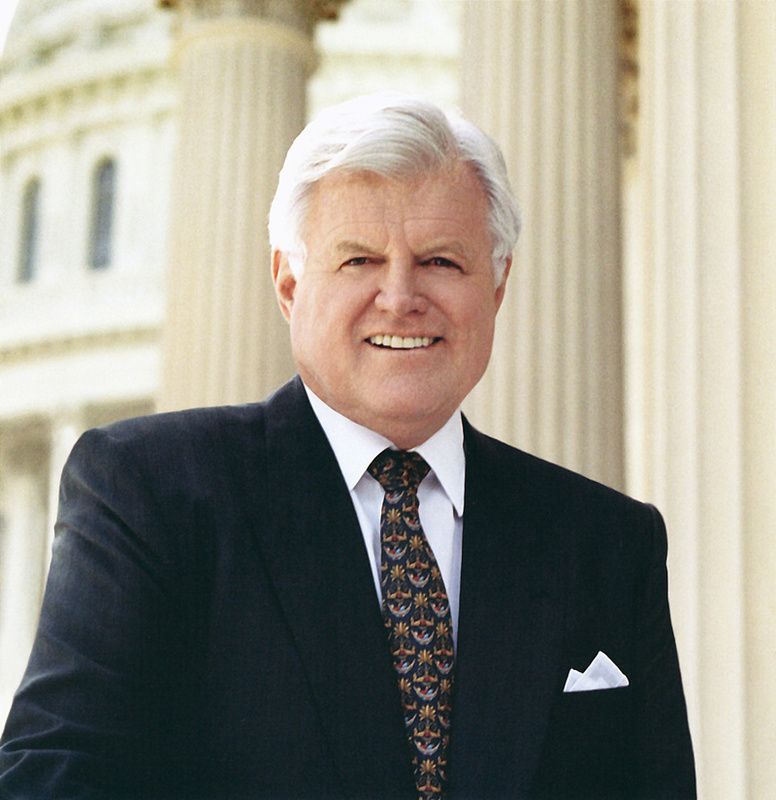 Senator Ted Kennedy was our most inspirational leader in this cause. His passion, booming voice, and larger than life presence had been sorely missed this year. Now that he has passed, we mourn his passage, but remain inspired by his words, deeds, and accomplishments. Immigration is the story of American history. From the earliest days of our nation, generation upon generation of immigrants has come to be part of a land that offers freedom and opportunity to those willing to do their part. Immigrants built our great cities. They cultivated our rich farm lands. They built the railroads and highways that bind America from sea to shining sea. They erected houses of worship to practice their faiths. They fought under America’s colors in our wars. In fact, 60,000 immigrants are fighting in the U.S. armed forces in Iraq and Afghanistan today. Immigrants worked hard so that their children could embrace the ever widening possibilities in our land. And over the centuries, immigrants came to America from every part of the globe and made the American dream. They created a nation that is the envy of the world. That is our history. But it is also our present and our future. We heard the moving immigration story anew here in the Senate just last week as Senator Domenici eloquently described his family’s immigrant roots. He told how his parents came from Italy with nothing. His father earned his citizenship through his service in the U.S. Army in the First World War. His mother remained an undocumented immigrant until much later in life. In fact, she was arrested by the immigration authorities many years after coming to America, but she was able to gain legal status, remain in the country and later become a citizen. The Domenicis worked hard, learned English, built a successful grocery business, and their children went on to have successful professional careers. And as we know, one became a distinguished and respected United States Senator. Last week we also heard from Senator Martinez of Florida of his family’s flight from Cuba to begin new lives in America. Young Mel Martinez was 15 years old when his family escaped from Cuba to seek a new life of freedom. Like millions before him, his family worked hard, learned English, and earned their success in Florida. And today, Mel Martinez not only was a cabinet secretary in the Administration, but was elected by the people of Florida to serve as their United States Senator. There are some in the United States Senate who seem to believe that immigrants are just criminals. In fact, the Frist bill that’s before the Senate declares that all undocumented immigrants are criminals. The Frist bill would have declared Senator Domenici’s mother to be a criminal and the Kyl amendment would disqualify her from earning American citizenship. The facts tell a different story. Immigrants – including undocumented immigrants – continue to strengthen the fabric of America in thousands of different ways. As David Brooks observed in his column last week in the New York Times, Hispanic Americans and Hispanic immigrants in particular are less likely to divorce. Husbands and wives stay together and raise their children. Even though they may have less money than other Americans, they spend almost twice as much on music for their children, they spend more on gifts and family get-togethers, and they are more likely to support their elderly parents. And the path of progress that we witnessed with the Martinez and Domenici families is familiar even today. By the second generation, most immigrant families have reached the middle class and they pay more than enough taxes to make up for the costs of their parents’ generation. By the third generation, 90 percent of the grandchildren of Hispanic immigrants speak English fluently, and 50 percent of them marry non-Hispanics. These patterns of assimilation are identical to those that characterized the children and grandchildren of Southern and Eastern European immigrants who came to the United States 100 years ago, and to the assimilation of German and Irish immigrants who came here 50 years before that. In many ways, our economy is more dependent on immigration than ever before. The arrival of new and young immigrant workers helps explain why America’s economy grows faster than most of the aging European nations. According to the Aspen Institute, immigration will be the only source of growth in the prime age labor force in America in the next two decades. So America’s choice really is between immigration and economic stagnation. However, even though immigration brings many benefits, there is no doubt that our current system is broken and fails to protect us and meet our nation’s needs. Our borders are out of control at a time of heightened concern about terrorism. Millions cross our borders and remain illegally, creating an underground society that is subject to abuse and that harms American wages and working conditions. Millions more enter through our airports and seaports as visitors, but remain long after their visas expire. They come and remain because they wish to work and contribute, and our employers continue to offer them jobs. As a result, more than 11 million undocumented immigrants are living and working in America today. Many in Congress suggest that the answer is simply more enforcement. Just build more fences and hire more patrols and it will solve the problem. But we’ve tried that before and failed. We’ve spent more than $20 billion over the past decade to build fences and triple our border patrols, but illegal immigration went up, not down. In the 1980s, the rate of illegal immigration was 40,000 people a year. Today it’s more than half a million. And the probability that a border crosser will be apprehended has plummeted from 20 percent a decade ago to just five percent today. An enforcement-only approach to solving our immigration problems may make a good campaign slogan. But in reality, it’s a failed strategy that threatens our security and threatens American wages. That’s why Senator McCain and I have proposed a comprehensive, common sense plan to make a real difference. An effective immigration strategy must have three parts. · Our bill enhances our capacity to monitor immigration flows and stop illegal entry. To do this, it doubles the number of Border Patrol agents over the next five years. And it builds roads, fences, and vehicle barriers in specific high-flow areas; adds significant new technology at the border to create a robust “virtual fence”; develops new land and water surveillance plans; authorizes new permanent highway checkpoints near the border; and expands the exit-entry security system to all land borders and airports. · Our bill increases our capacity to crack down on criminal syndicates that smuggle immigrants into the country and place them at great risk. To aid in this mission, it creates new federal penalties for constructing border tunnels; new criminal penalties for evading or refusing to obey commands of immigration officers; new criminal penalties for financial transactions related to money laundering or smuggling. And it creates new fraud-proof biometric immigration documents; increase access to anti-fraud detection resources; improve coordination among federal, state, local, and tribal efforts to combat alien smuggling. · Our bill increases cooperation with Mexico to strengthen migration control at Mexico’s southern border to deter migration from Central America through Mexico and into the United States. And it requires cooperation with other governments in the region to deter international gang activity. · And our bill would reduce the job magnet in America by creating a universal electronic eligibility verification system which will allow employers to tell which individuals are authorized to work in the United States. It will substantially increase penalties against employers who fail to comply with eligibility verification rules and add 5,000 new enforcement agents to back up these provisions. Second, we must address the presence of the 11 million undocumented workers who are here now. It’s clear that we’re not going to send them back. Many have American citizen children and even grandchildren, and deporting them would rip families apart. The massive roundup of 11 million people would create havoc in our communities and cost $240 billion. It would require 200,000 buses in a convoy that would stretch from Alaska to San Diego. These families want to continue working and contributing to our communities, and we should give them that opportunity not by offering an amnesty, but by allowing them to earn the right to remain. · Pay a $2000 fine. · Work for six years. · Pay their taxes. · Learn English and civics. · Pass rigorous criminal and security background checks · And get in the back of the line behind those who have been waiting patiently to qualify for green cards. Unfortunately, yesterday on television Senator Frist mischaracterized our common sense proposal. He called it an amnesty, when in fact nothing is forgiven, nothing is pardoned. Undocumented workers must earn the privilege of legal status and a path to American citizenship. And he said that our plan allows undocumented immigrants to jump to the front of the line, when our bill says plainly in black and white that they must wait in the back. We should conduct this debate based on fact, not fiction – thoughtful policy and not bumper sticker slogans. Earned legalization should not be available to criminal aliens and others who would undermine US security, but we must not be fooled by the amendment offered last week by Senators Kyl and Cornyn. Our bill already excludes from earned legalization criminal aliens and any immigrant representing a security risk to the United States. The Kyl-Cornyn amendment would also exclude literally millions of undocumented immigrants already living and working in this country because they previously failed to depart following an order to do so. Our analysis of DHS and INS statistics suggests that fully 95% of immigrants affected by the Kyl-Cornyn amendment would not be criminal aliens, but rather exactly the hard working immigrants and families this program is designed to bring out of the shadows! The third and final element of a successful immigration strategy is to address future immigration. We must provide a path to earned legalization for those already here. But we must also address the continuing needs of our employers for workers and the reality that people will continue to come here to improve their lives and contribute to America. In the past, we have largely ignored these realities. We have turned our heads as people have come here to work, and required them to remain in an underground economy. That head-in-the-sand policy cannot be allowed to continue. It’s harmful to these workers, who are subject to abuse by employers. It’s harmful to employers, who never know if their workers may be sent home tomorrow. And most of all it’s harmful to American workers, whose wages are cut because employers can get away with hiring undocumented workers at lower pay. Therefore, the plan that Senator McCain and I propose, and that was adopted by the Judiciary Committee, provides a strong and effective guestworker program for the future. It’s far better for American workers if future immigrants come here legally, with rights to fair wages and working conditions, rather than having to compete with illegal workers who are paid sub-standard wages. Isn’t it better if an employer must pay an immigrant carpenter a standard wage – just like American workers – than a substandard wage that drives down wages for everyone else? That’s what our guestworker program would do. It is estimated that the American economy demands about 400,000 new low-skilled immigrants each year, but our current system grants only 5,000 visas to these workers. That’s why we have more than 11 million undocumented workers today. There simply are not enough visas to go around. To meet future needs, our guestworker program takes the common sense step of starting with a 400,000 annual quota, and allows the quota to be adjusted up or down in future years based on the needs of the economy. Taking this realistic step would free up our enforcement efforts to focus not on those who yearn to breathe free. They should be welcomed as guestworkers who contribute to America. We should concentrate our enforcement resources on those would truly harm us – the criminals, the drug smugglers, and especially the terrorists. That should be the priority for our time. Enhanced enforcement. Earned legalization for those who are here. And a realistic guestworker program for the future. That’s a plan for success. And the American people know it. It’s a plan that Time magazine reports is supported by more than three-quarters of the American people. And they support it because they know that our three-part plan increases our security, respects our values, and strengthens our progress. In fact, poll after poll find that that between two-thirds and three quarters of all Americans favor a new program to allow temporary visas for future essential workers; and an even higher proportion favor allowing undocumented immigrants in the United States to earn citizenship if they learn English, have a job and pay taxes. In contrast, in a Time magazine poll conducted last week just one in four Americans favored making illegal immigration a crime and preventing anyone who entered the country illegally from remaining in the United States or working here. The American people want real comprehensive reform, not just more immigration enforcement. All three of these changes are necessary if we are to address the root causes of undocumented immigration and break the cycle of illegality which now corrodes our immigration system. All three of these changes are necessary if we are to ensure that immigrant families today, as in the past, continue to live the American dream and contribute to our prosperity, our security, and our values. All three of these changes are necessary if we are to be true to our heritage as a nation of immigrants.